From Up On Poppy Hill Blu-ray Review Once again Studio Ghibli create a truly magical story about two young lovers who discover something uniquely special about the universe that they exist in. 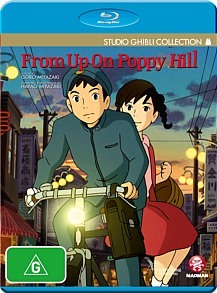 From the wondrous Studio Ghibli Collection comes From up On Poppy Hill which is the beautiful story about two Japanese teenagers during 1963 Yokohama, Uni (Sarah Bolger) and Shun (Anton Yelchin) who come together to save their school's clubhouse from demolition. However as they the two grow closer together, a relationship begins to form that commences an emotional rollercoaster ride for not just our two characters but also the viewer in this beautifully presented film. With amazing hand-dawn visuals, From Up On Poppy Hill is like a children's book come to life with its rich tapestry of colours, detailed environments and characters that are eerily almost too human for a cartoon. Of course, the stars of this film are the two main characters Uni and Shun who have this innocence around them and through their dedication and love hope to change the course of the world. But as the story progresses, we soon learn that these two star crossed lovers actually hold more in common than the love of their clubhouse. There are even elements of social commentary littered throughout the film such as Japan rebuilding after World War II and that the Olympics which are just around the corner for the characters in this world. Apart from the glorious animation in this film, From Up On Poppy Hill features a star studded cast that also include Jamie Lee Curtis and Christina Hendricks that go together well with Bolger and Yelchin. As a result, it really create these life-like characters that will hold a special place in your heart. 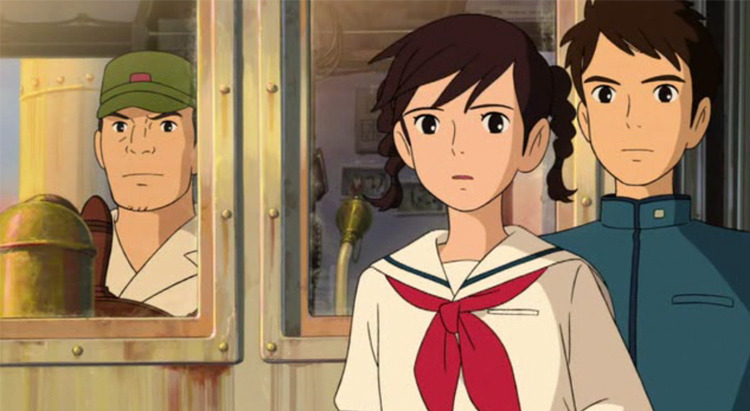 From Up On Poppy Hill will definitely become a classic anime from its richly crafted story to amazing animation that looks stunning on Blu-ray. Add in a whole wealth of special features from behind the scenes to interviews and some great Studio Ghibli propaganda and this is a must own Blu-ray. Once again Studio Ghibli create a truly magical story about two young lovers who discover something uniquely special about the universe that they exist in.